Unlock the potential of the modern spreadsheet to create custom dynamic animated resources to suit your specific needs, without having to learn coding. This course is suitable for any who need to create custom dynamic animated resources for their teaching. The current generations of Excel include functions and controls that can create dynamic animated resources. They have the unique advantage of linking and making visible the underlying mathematical and logical formulae. The advanced features such as form controls are far easier to learn than comparable features on apps requiring coding. While other apps come and go Excel skills have become sought-after in the scientific and commercial sectors so the skills developed are transferable for both teachers and students. 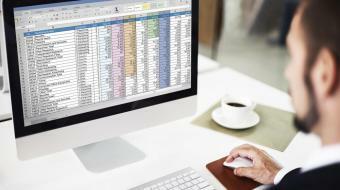 The downloadable spreadsheets are the core of the course, requiring some practice. The videos emphasize the potential for creative applications. Completing this course will contribute 6 hours of NESA Registered PD addressing 2.6.2, 3.4.2 & 6.2.2 from the Australian Professional Standards for Teachers towards maintaining Proficient Teacher Accreditation in NSW.